Thanks for following our coverage of the ladies slopestyle final. Live coverage of the womens slopestyle final coming up. The event includes Canadian Spencer O'Brien. Stay tuned for up-to-the-minute updates! 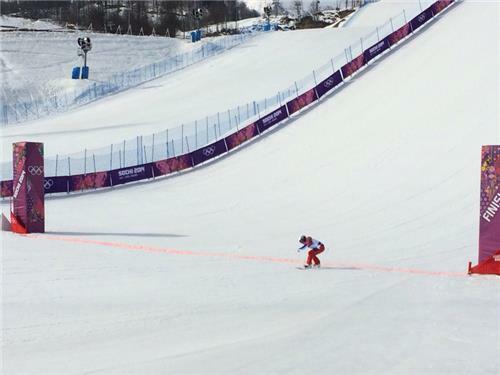 We're about 10 minutes to the start of snowboard cross quarterfinals with Olympic champion Maelle Ricker and 2006 bronze medallist Dominique Maltais. This was the last rider after the first seeding run. 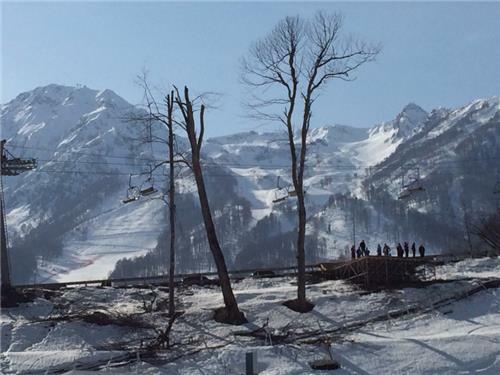 Looking up from the finish area at Rosa Khutor Extreme Park. 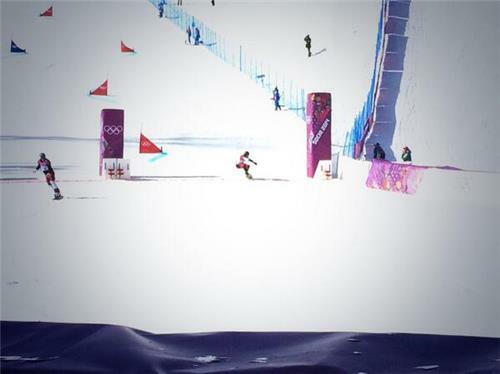 That backdrop saw Mark McMorris, Dara Howell and Kim Lamarre medal at Sochi 2014. Ricker will be in QF2 and Maltais will be in QF3. Stay tuned for up-to-the-minute updates! Top 3 from each QF will move on to the semis. We're off in Rosa Khutor. No Canadians in the first heat but medal favorite Samkova is leading. 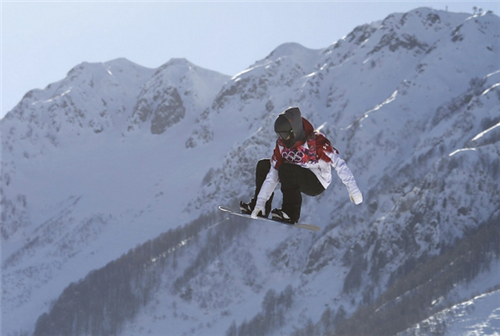 The Mens Snowboard Cross competition has been delayed until tomorrow. Canada's Kevin Hill is in heat number 1. Canada's Jake Holden is in heat 5, and Chris Robanske is in heat 7. Jake Holland from the USA takes a fall early in his heat and does not qualify for the quarter final. only 4 in this heat. Holden finishes in 4th and does not qualify for the quarter final. Robanske up next, Fagan to follow in the last heat. Robanske crosses the line in 2nd and qualifies for the quarter final.